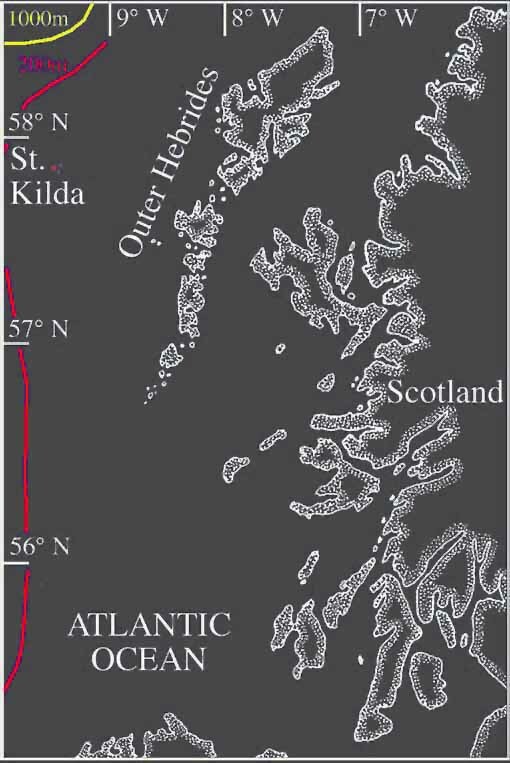 Below I show you the location of the St. Kilda Archipelago on a map. To the left there is Scotland and the Outer Hebrides, and at the bottom of the picture you see Northern Ireland. 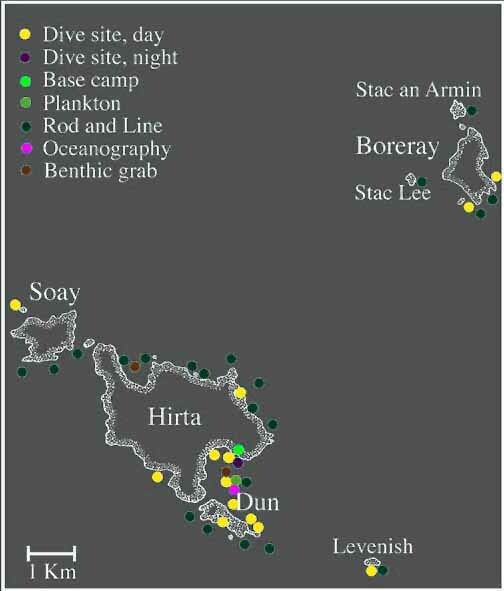 Please click on the map to see a blow-up of the St. Kilda Archipelago with all the sampling sites. I partook in it in the context of an expedition supported by WWF UK. You may also want to have a look at the abstract of the expedition's report. 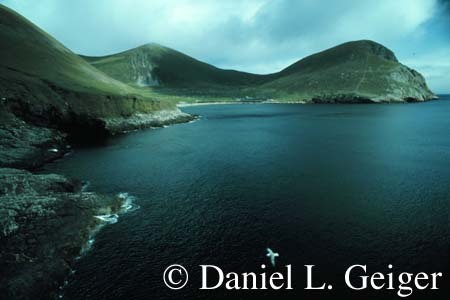 Last but not least, some additional pictures of organisms encountered on St. Kilda are available. Blow up of the St. Kilda Archipelago..
Blow up of the St. Kilda Archipelago in a new window. click on the thumbnails to see the larger picture. 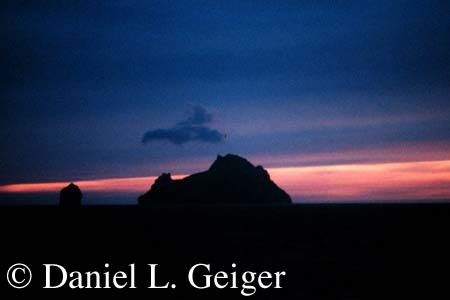 Boreray and Stack Lee at 11pm taken from the landing boat on which the expedition was travelling to St. Kilda. 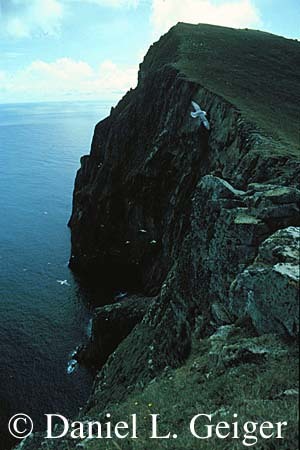 St. Kilda is well known for its cliffs that give a number of seabirds ample space for breeding. 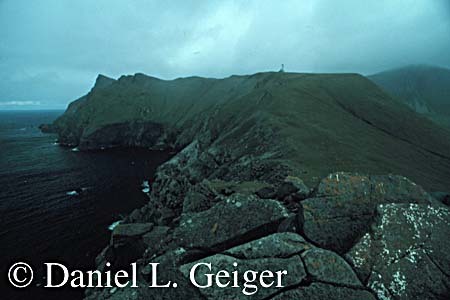 A view from the southern tip of Hirta into Village Bay on a rare sunny day. A typical day with the low hanging clouds.